There’s nothing like watching a project grow and come to completion; the joy, the stress, the revelations, the tears all wrapped up into an experience that can be shared. I enjoy the challenge of writing or translating a compelling story into the visual medium and then presenting it to an audience. There’s always room to grow so feedback is as important to me as it is to continue moving forward. Whether it is for work or personal use, I produce art every day, I learn something new when I am presented with a problem and I give back what I can to my community. My free time is spent offering affordable comic book and illustration classes to kids at my local community center. I self-publish two comic book series and sell them at comic conventions. My work hours are filled with projects from illustrating and providing print layout for children’s books to turning around pitch boards for a company’s presentation at the drop of a hat because I have the reputation of being reliable. When I’m not working, I enjoy a bucket of home-made popcorn and a good horror movie, watching cartoons, or venturing out to find another addition to my modest Plastic Man collection. I am also a proud, registered tribe member of the Cherokee Nation. 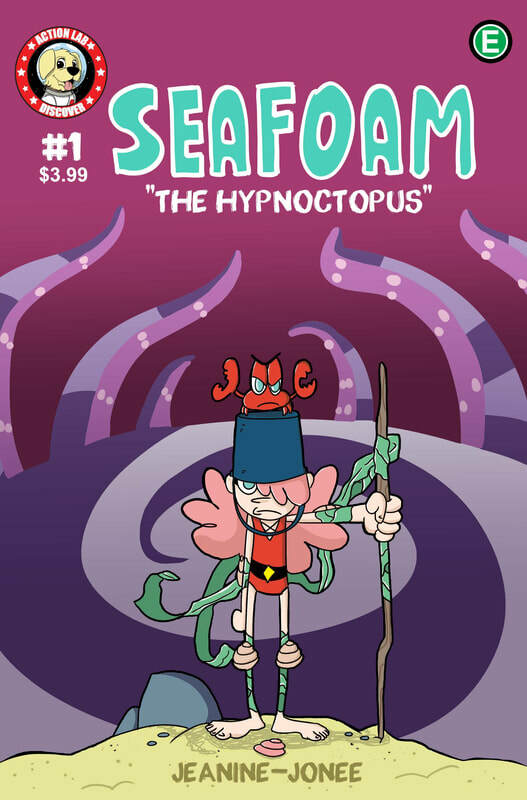 SeaFoam: A Friend for Madison was picked up by Action Labs and is now available to pre-order nationwide! This will be my first comic series going into mass publication and I am so filled with joy and gratitude for everyone who supported me, purchased books at my shows, or has followed my work. The new editions of the books include concept art and issue one has a swanky new cover and variant cover! To get your hands on a copy simply request to pre-order from your local comicbook store! Please be sure to leave me your email or number so that I can return your message. if this is for one of my classes please provide the name of your child, what city the classes took place in and what month. If you' are an educator interested in a workshop or summer programs please request a meeting, i am open to phone, in person or online meetups.